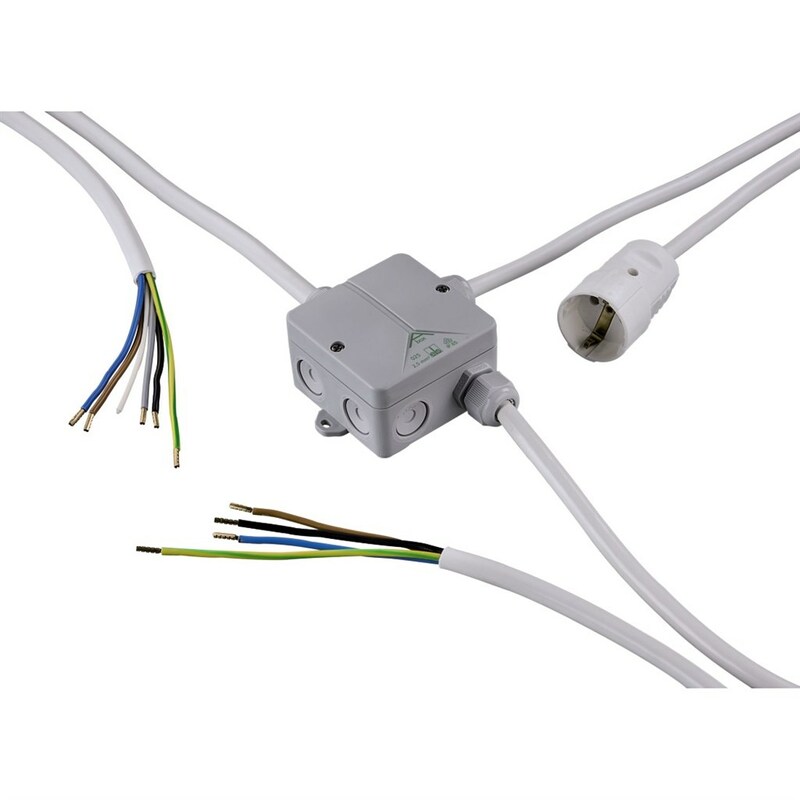 The power splitter for electric kitchen appliances has been designed for being permanently connected to stove connections that comply with DIN standard 18015 within a building installation. 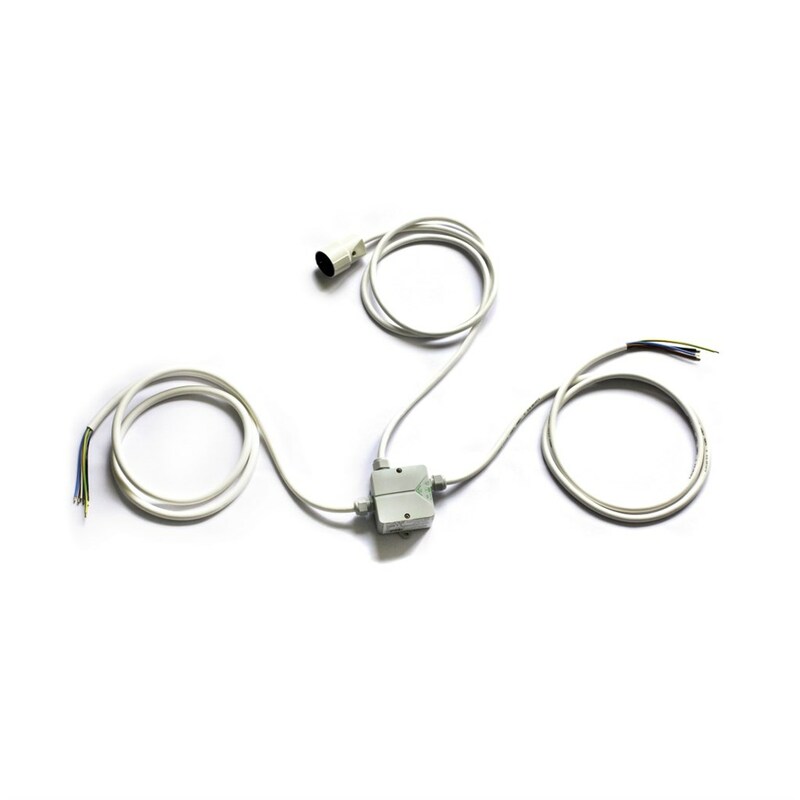 It is, however, specially designed for stoves and ovens with independent power supply. One oven each, ready to plug in with a plug with earth contact, type F, CEE 7/4 or 7/7, according to IEC 60884 and VDE 0620-1) and one stove/hob (permanent connection with single or two-phase operation). 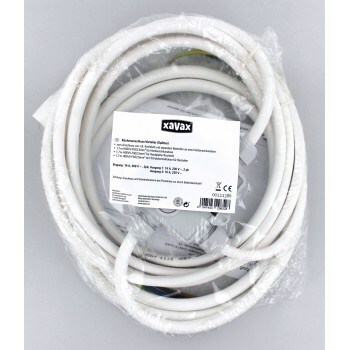 The four-wire outgoing cable is designed for being permanently connected to hobs with a maximum power consumption of 2x 3600 W.
The three-wire outgoing cable with a socket with earth contact is exclusively designed for being connected to a "plug and play" oven with a maximum power consumption of 1x 3600W.